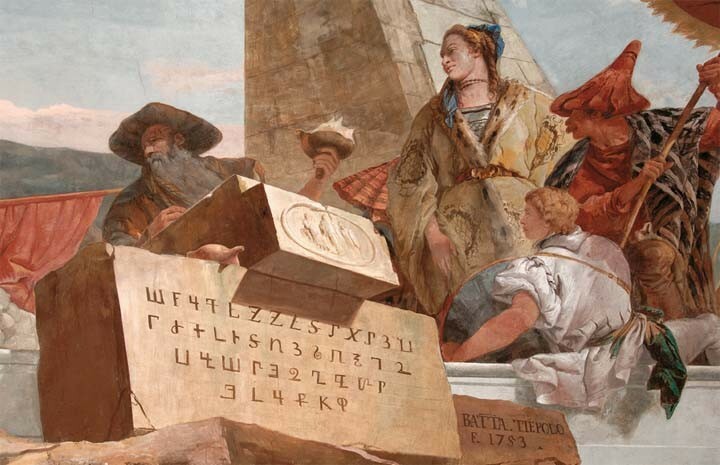 The famous fresco on the ceiling over the main staircase in Wurzburg Palace, featuring Armenian letters. 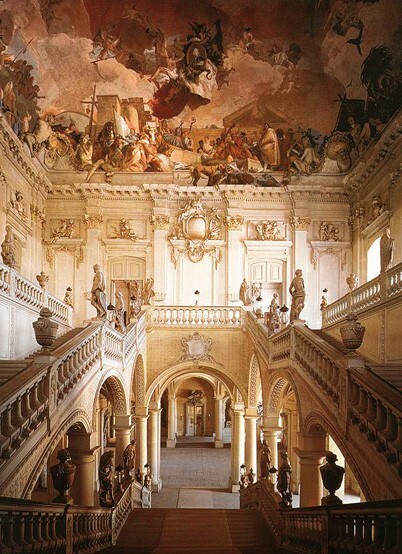 A huge fresco, at nearly 7,300 square feet, the largest in the world – decorates the hallway of the Wurzburg Palace of Bavarian Bishops. Mythological creatures, ancient gods, nymphs, the inhabitants of exotic lands and many other figures fill the sky in a dazzling flight; a flight that features richly rendered Armenian letters. Giovanni Battista Tiepolo (1696-1770) a famous Venetian artist was the creator of this masterpiece. At the time he was the most popular and most expensive of the Venetian painters. Wealthy families, monasteries and churches, all wanted to have the artist’s paintings in their collections. Consequently, there was a significant waiting list for his commissions. Bavarian Prince-bishop, Karl Phillip von Greifenklau commissioned the creation of the fresco. Bellow some more images from the beautiful palace. Sounds great! 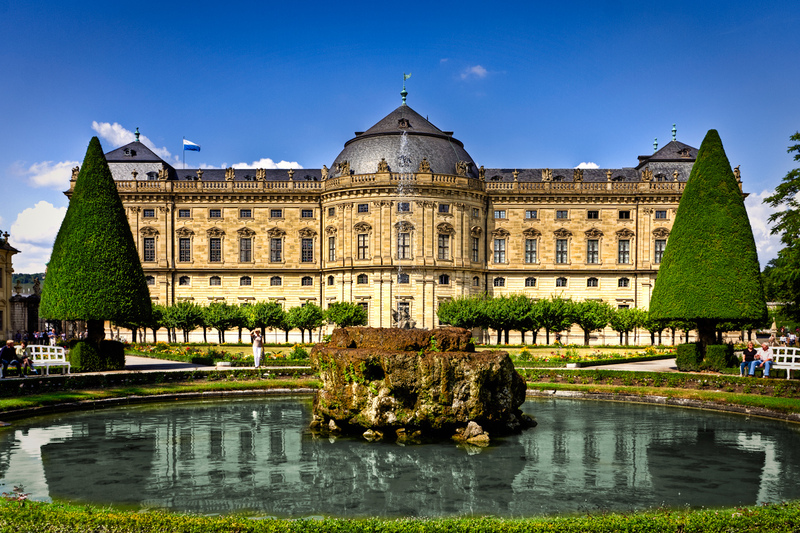 I am going to visit Würzburg tomorrow – I will visit the palace.